Before we get started talking about your writing, David, I like to tell our audience a little about the author. Tell us about yourself, where you’re from, what you do for a living—if you’re not a fulltime writer, what hobbies you have. That sort of thing! I am originally from Manchester, England, and now live just outside Vancouver, British Columbia. I worked for two decades with abused, neglected and marginalized youth until the real life horror stories and my frustration with the “system” took too great a toll on me and, sadly, I walked away. I then reinvented myself as an editor after dealing with some personal trauma. I have always written, so that has been my one constant, really. I don’t ever have fun. Uh. Just kidding. The normal kind of stuff—no attempts at reanimating corpses in my basement or solving world hunger—you know, music, hiking, watching movies, reading, eating food, drinking wine, playing very bad guitar, that kind of thing. (Interviewer taking a deep breath after big gulp of air, wondering what she got herself into!) What’s your favorite animal, color, season of the year? Immediately reminded me of The Grimm! What’s your favorite singer, song, type of music? Can’t name just one. I love music. Including pop, rock, hip-hop, R&B, punk, metal, folk, blues, jazz, classical, country, ambient, dance, electronic, etc. I suppose my absolute favourite was the post-punk era in the UK in particular, but I honestly do have a very wide taste, encompassing Britney Spears, Stockhausen, Amadou & Mariam, Wu Tang Clan, Maria Callas, Motorhead, Skip James, Brian Eno, Funkadelic, Kathleen Edwards and the Cocteau Twins (just as examples). (Hey, at least I’ve heard of Spears and Callas!) Let’s talk movies. What’s your favorite? Again, tough to say. It’s almost certainly one of the following: Lynch’s Mulholland Drive, Jarmusch’s Dead Man or one of Terrence Malick’s beautiful, poetic contemplations. Sean Penn. Uma Thurman. Again, lots more, but they were literally the two who came instantly to mind. My first book is a nonfiction account of a continent-spanning road trip to New York City I took in 2001 that just happened to occur during the terrorist attacks of 9/11. It’s basically about trauma and how we deal with it and, ideally, survive it. But the genre I love the most is horror, and that is the direction my writing will increasingly take me like a helpless child being led into the scary woods by something unspeakable. (I can tell I’m going to need a sleep aid tonight!) Name some of your books, including your latest. 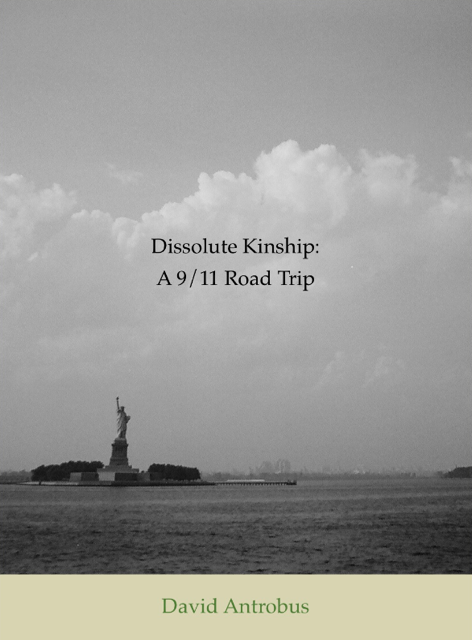 The book I mentioned in my previous answer is called Dissolute Kinship: A 9/11 Road Trip. Oh, well that doesn’t sound like horror–it sounds quite interesting! How many books have you written so far? I’ve only published that one book. I am writing the sequel to my first book, based on a ten-year anniversary road trip I took to New York last September. When did you start writing & why?Did any specific author(s) motivate you to begin writing? Ray Bradbury was probably the first writer I tried to emulate. I even still have my very juvenile attempts at mimicry from when I was probably 12 or 13 years old. Very embarrassing. Although cute, I guess. After that, Stephen King. As for why: well, the simple magic of storytelling, of being transported to another world by these black squiggles on a page. I’ve never gotten over how improbable and weird and mysterious that process is. Stephen King scares the living,,,ah, scares me a lot! Are you an avid reader & when you do read someone else’s writing, what is your favorite genre? I read a great variety of stuff, but my favourite two genres are so-called literary fiction (which is admittedly a problematic category) and horror. No surprise there! Who is your favorite author & why? I’ll say Ian McEwan and Cormac McCarthy for identical reasons: they both tackle some pretty dark themes while employing incredibly beautiful and distinctive language; their technical ability takes my breath away, sometimes. They sculpt language. They compose it. They write with a sense of texture and a kind of music. They feel language almost viscerally, its rhythms and its melodies. You have a beautiful way with words, David! What is it that makes your writing different from all the others in your genre? My horror stuff is a strange mix. I try to write with a beauty and lyricism worthy of my aforementioned influences, but I also combine surrealism or, sometimes, magic realism with a type of very visceral and unflinching horror, an approach I will describe somewhat pretentiously as a kind of damaged search for beauty amid the awfulness. If you imagine Clive Barker with a dash of Neil Gaiman and the other authors I’ve mentioned, along with the films of David Lynch, you’ll get a flavour of it. Atmosphere is especially crucial to me. (I’m getting that “Hise” feeling again!) Where do you do your writing & what is your process like? 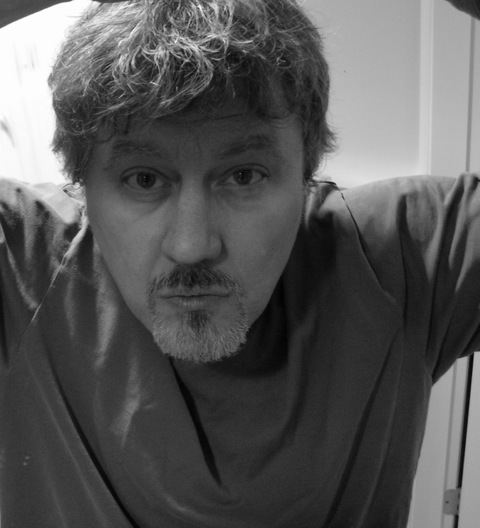 I write at home, in my dungeon basement. I don’t formally outline, but I have some idea of where things are going, and if they decide to defy me, I usually capitulate. That or occasionally kill off the offending character out of pure spite. Ha, no, it’s a mix of research, a very vague outline and then the agonizingly slow process of writing and editing as I go. I know we’re not supposed to do that, but it’s a very rare day when I simply write and let it flow. I am painstaking as a self-editor and, frankly, it drives me crazy. As one who just recently lost her editors to the appeal of the Floridian shores, I can certain commiserate! How do you get ideas for your stories and characters? Everywhere. Other stories will spark ideas. Real life events. The internet. All the usual sources. I do most of it myself. I might run my over-edited last drafts past a couple of beta readers, but I am an editor as well as a writer, so I do have some justification for doing most of it myself, despite being very aware of the numerous warnings against doing that. Basically, I wouldn’t advise anyone to do that, either, so I’m actually a huge hypocrite in that regard. What’s the best/worst experience you have ever had as a writer? Best: Whenever anyone reads my work. Worst: When it seems that nobody is reading my work. Ah, yes–ye olde catch 22! What is the best/worst advice you have ever gotten about writing? Best: Write the book you want to read. Worst: Write for your audience. Write the book(s) you want to read and never give up. Something music-related. I’m not talented enough a musician, but perhaps some kind of recording-related work. Oh, possibly graphic designer as I have some artistic talent, nowhere near as much my writing abilities, though. My mind is blank. I’m in a serious mood today. Catch me on a better day and I am a lot less dull than this. Well, I’m certainly familiar with your work there! Where are your books available in print and/or digital? My book is an ebook and it can be found on Amazon and Smashwords It’s actually free on Smashwords right now, until March 20. Thanks very much for this opportunity, Linda. Thanks to you, David! I’m really squeamish about horror, so you had me ready to run there for awhile! I’m so glad you joined us so we could all get to know you a little better. Hope you’ll come back again sometime.